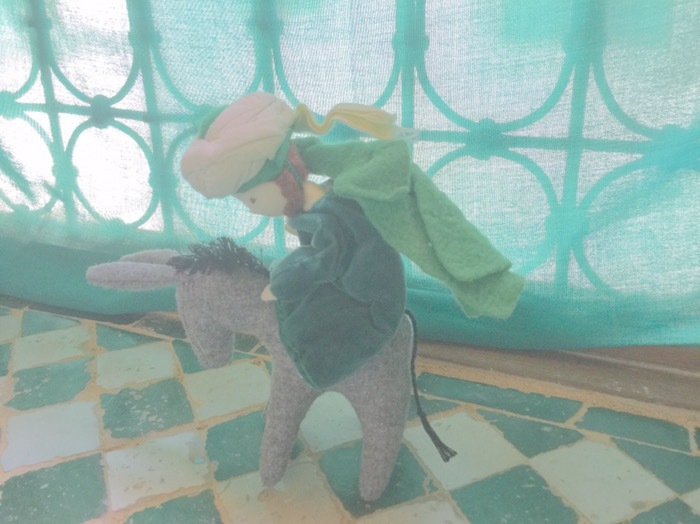 Today our little dervish is telling us the story of the Mullah Nassruddin and his donkey. One day some people came to the Mullah Nasruddin to tell him that his donkey was lost. The Mullah was happy and said the it was good that he was not on his donkey because then he would be lost as well. I am considering doing a series with the Dervish Dolls and the Mullah Nasruddin stories. Please send me your favorite Mullah Masruddin stories and I will try to use them. Please share your ideas for using creative play to learn about the teaching stories of Islam.